competed, absolutely loving the alpine race stages and breathtaking scenery on the incredible trails around Davos Klosters. The overall victory was won by the Wheeler – iXS Team of Stefan Peter and Tim Bratsch from RC Graenichen. The event and the whole Davos Klosters area blew the international competitors away: “These are the best trails I have ever ridden!” “I cannot say which stage I liked best – they were all diamonds!” This was the unanimous opinion of almost 200 teams from 14 nations, who all rode 16 timed stages over the three-day weekend. The overall distance was covered in the timed stages and liaisons supported by cable cars, giving plenty of time to enjoy the impressive alpine scenery of the Grisons mountains outside of the clock. Meeting and riding with new friends from far away countries, is what this event is all about and a big part of the appeal of Enduro2. As expected, highly experienced Enduro riders in the Male category battled from the start. In the end, the Wheeler – iXS Team with Stefan Peter and Tim Bratsch from RC Graenichen won the race with 1h 22min 56sec, just under two minutes ahead of Nick Beer and Daniel Eymann from Team BiXS / mtbeer Bikeschule & Solution. Team VELOBUDE – RSF with Fabian Buschor and Martin Kägi ranked third. In the mixed category, a close duel took place over three days, which the local Sertig Bikers team of Karl Bühler and Andrea Kuster finally won in 1h 43min 30sec, only 20 seconds ahead of team one80shop.ch with Carla Coester and Dominic Schuppli. Third place went to the AP-Team of Iva Püntener and Andrea Arnold. During the first two days of the race, Team Aquarius with Andrea Wiederkehr and Nadja Sommer took the first place in the Women’s category. But on Saturday, Anja Rohrer and Priska Wiederkehr, team Sweet As, rode faster and took away the victory. Third place went to Fusion World with Jeanette Mayr and Myriam Häne. 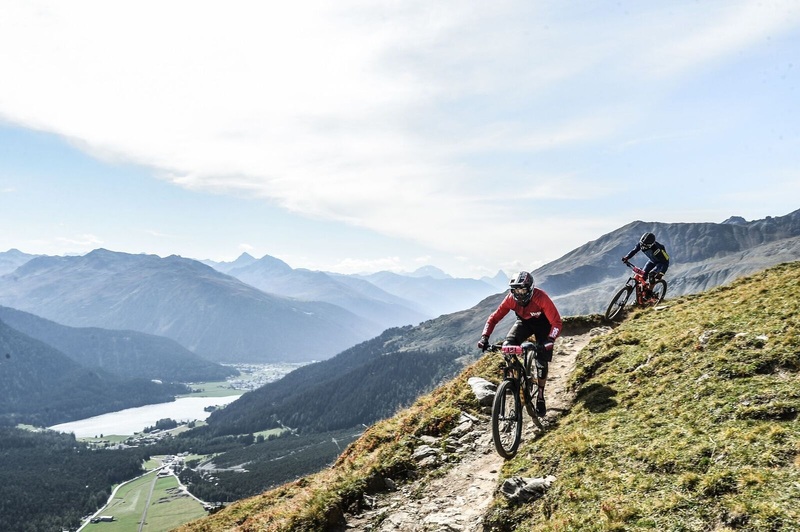 Fans of the event can look forward to next year already: The third edition of Enduro2 Davos will be held from Thursday to Saturday, 19 to 21 September 2019. Registration is possible at the latest from January 2019 on www.enduro2.ch, the exact date will be communicated in time on the channels of Enduro2.